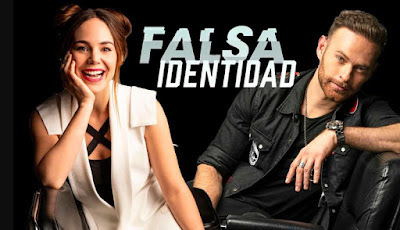 False Identity (Falsa identidad) is an American drama television series which stars Isabel (Camila Sodi) and Luis Ernesto Franco (Diego) two strangers who must flee from their past to escape their enemies. While Diego gets involved in a criminal world, selling fuel to Sonora's most powerful drug dealer, Gavino Gaona (Sergio Goyri). Things got complicated when Diego, being the boyfriend of Gavino's daughter, also ends up having an affair with his wife, thus putting a price on his head. On her part, Isabel marries Porfirio "El Corona" (Marcus Ornellas) at the age of 15 years old. He was a member of a norteña music group, whose career was just beginning to take off. Over the years, El Corona's career dies, and he becomes a bitter and neurotic jealous man, who physically abuses Isabel for any excuse. Isabel endures the abuse thinking it is best for the children and to keep the family united until one day the violence of El Corona reaches her children: Amanda (Barbie Casillas) and Ricardo (Checo Perezcuadra). Hence, Isabel decided to flee from the abusive marriage with her son leaving her oldest daughter behind. While hiding from the horrors that surround them, Isabel and Diego’s paths cross at the house of Zoraida (Marcela Manriquez), a maid that works for Eliseo Hidalgo (Manuel Balbi), the mayor of Álamos, Sonora and theirs lives are changed forever. Eliseo devises a plan to hide Diego outside of Sonora, taking the identity of an American tourist who has just died in Sonora with his wife and son. To complete the charade, Isabel must pretend to be Diego's wife and have Ricardo act as their child. And as a family they flee. Isabel and Diego begin their new life in Mexico City, at first they are complete opposites, but they learn to trust in each other. El Corona and the narcos do not take long to go after them, the past always finds them. But in the middle of persecution, Isabel and Diego discover a passion and chemistry that they had never experienced before, and there is only one step from here to real love. False Identity is created by Perla Farías and produced by Telemundo Global Studios and Argos Comunicación. 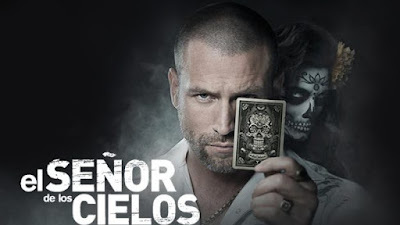 The Telenovela premieres on Telemundo Africa on Monday, April 1 at 9pm WAT/ 10pm CAT.